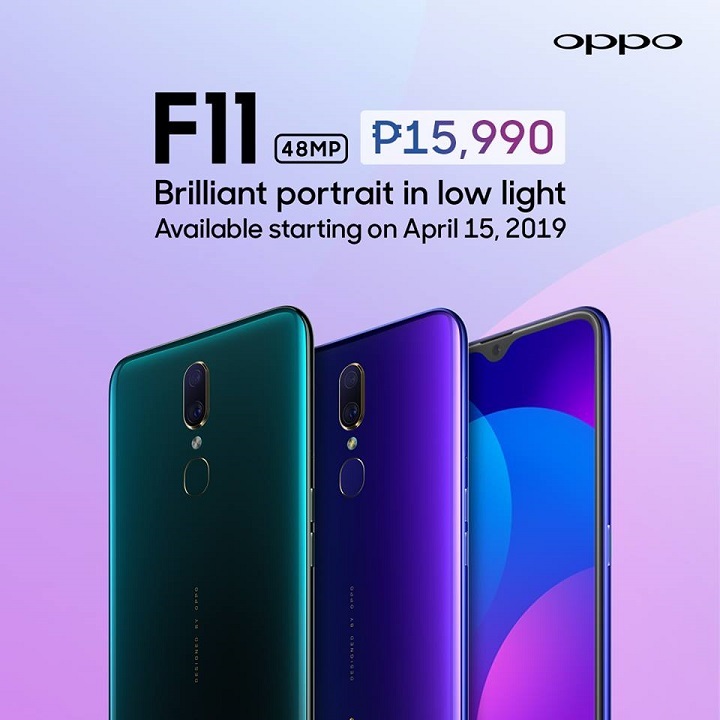 According to report reaching us, OPPO Philippines has announced that the F11 will be available for purchase on April 15. Check out the specs and price as you read on. The OPPO F11 (6GB + 64GB) is priced at PHP 15,990 and will be available on April 15, 2019.